Honor is a company which has gone from strength to strength over the years, and their commitment to quality and customer satisfaction has never faltered over the years. What sets them apart from other providers is that they offer a phone which is unique and yet exceptionally exciting all it’s own. You can’t help but admire a company which does go out of its way to give the best experience possible while still looking to innovate. It’s a testament to their ability as providers, and everything that they do make can be a real alternative for people who are searching for a high-end mobile device outside of the core trio of providers. We’ve put together a list of the Honor deals that we currently have in stock for you, and so we invite you to come and have a look at all that’s on offer, to see if there’s a deal or package which is going to be suitable for your specific needs and requirements. So, here we have the first item on the list, the Honor View 20. What can be said about this excellent model which has not already been discussed? Well, it’s a beautiful piece of technology as you’ll see just by looking at it, and it’s one which is currently one of the best Honor has to offer. Everything about this phone is smooth and stylish. 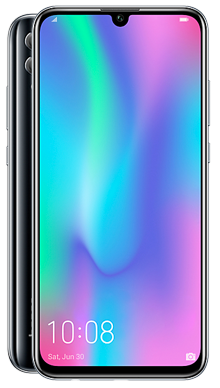 From the sleek, ergonomic corners to the 6.4-inch display, every element of this has been carefully thought out and designed to make sure that you get the best experience as a customer. If you’re someone who wants a modern and powerful smartphone for their everyday life, then this does have you covered. Users will take note of the powerful Kirin 980 Chipset, which has been included to give them the best possible experience. The powerful chips, along with a lovely processor, means that you can easily navigate between menus and choices without much hassle. Plus, it comes in a variety of different colours and styles to give you the options you need. The next phone that we have within our selection is the Honor 10 Lite. This is a device which is designed to be an option for someone who doesn’t necessarily like the hustle and bustle of the modern smartphone. It’s not for everyone, to be fair - some people prefer something a little more robust and easier to work with. That’s precisely what the Honor 10 Lite sets out to do, and it does it well. There’s so much to appreciate here, and it really can make all the difference when you are trying to get the most from the experience. The screen is very durable and has been designed to prevent you from breaking it if you accidentally drop it, and some people are quite guilty of this! However, with a 6.2-inch screen, those who do use this phone will see that there’s a lot of features here to make use of. It can quickly become everything that you could want from a phone, and so it’s easy to see why it is popular. With the Kirin 710 Chipset, you can easily begin to see why this is an excellent choice for anyone who is looking for a phone that still does everything but is also exceptionally robust. It’s available in a range of different deals and options because we want to make sure that we’re giving you the very best. 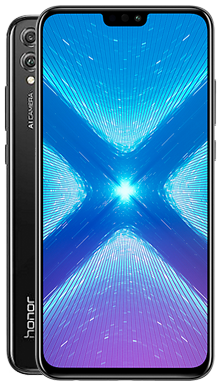 The final phone which we have available for you from within the selection is the Honor 8X. This is a wonderful smartphone which sits nicely inside the middle tiers and doesn’t make any attempt to try and compete with the higher up competitors because it just doesn’t need to. So, what’s to say about this incredible phone? Well, it really can offer a lot to someone who knows what to look for. 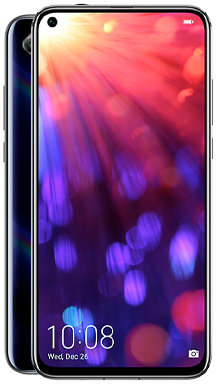 Those eagle-eyed enthusiasts will notice that the 6.5-inch screen while being exceptionally large, is also made of Gorilla Glass for maximum levels of protection. It becomes easy to work the phone without any fear of dropping it, which makes a change from those costly models that we spend so long being terrified of losing. However, the visual element here is dealt very good, as not only does the phone look good, but it provides a sharp picture and quality video playback. Technologically speaking, this runs the Kirin 720 chipset, which is more than powerful enough to make sure that you can perform any function you want to without having to worry. As a more relaxed approach to smartphones, we do love it. So, what makes Honor a popular choice for your selection? Well, it all boils down to the fact that they’re innovative. We see the same handful of items everyday, and it can be a little depressing when you’re looking for something new. That’s what Honor seems to be best at doing - they innovate and improve their products to give you an experience you can rely on. Obviously having a close relationship with Huawei means that they have access to some of the most impressive technology available, but at the same time they’ve done something completely new and exciting with it. Instead of just taking an existing product and trying to build something new from that, Honor has taken the time to stop and ask “what can we do that’s different?”. Here at Fonehouse, we work hard to make sure that you have a collection of deals and offers to provide you with the scope to make a good decision because we know that it can be significant. It’s our ultimate aim to make sure that your experience is one that you don’t forget, which is why we always look to provide more exciting offers and also new handsets when they become available. If you have a question or query about what we do and how we can help, please contact a member of the team.